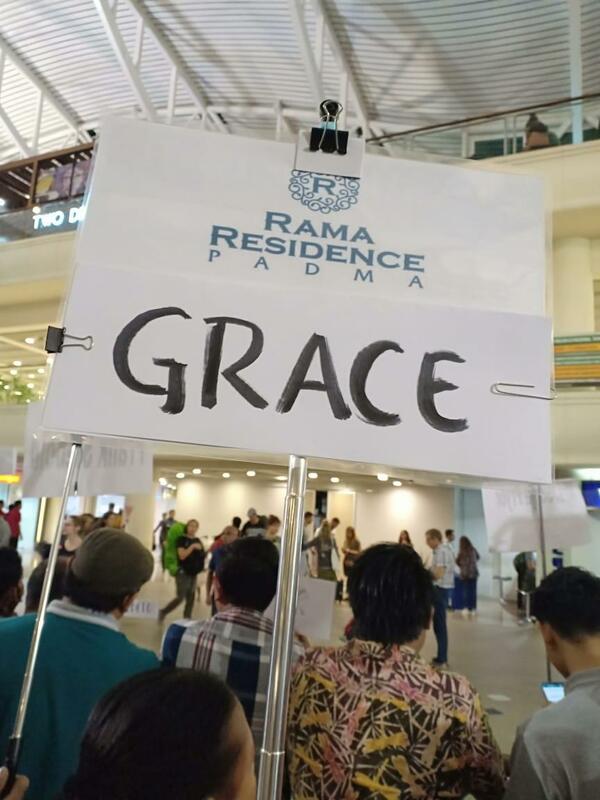 Upon arrival at Bali Ngurah Rai International Airport, it’s always a relief to have a pick up and transfer organised prior. 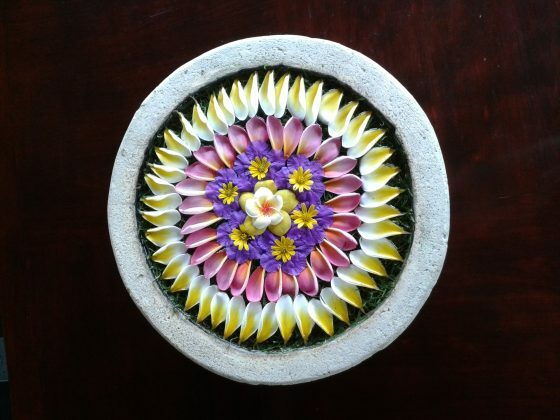 But better still, to see your name right up there is something special by staying at the Rama Residence Padma. 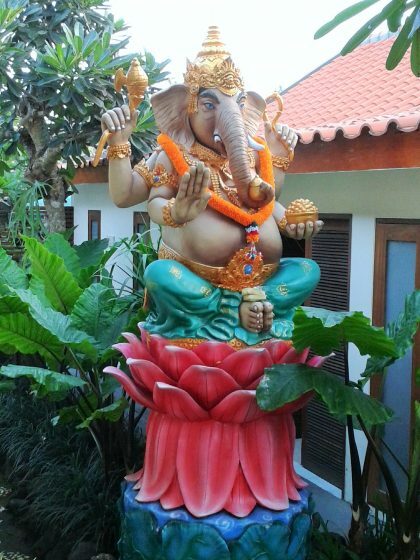 This is when I can relax knowing I’m being looked after for my next week’s stay in Bali. Denpasar is Indonesia’s third-busiest international airport and I’d recommend a pick up especially if travelling with a family. 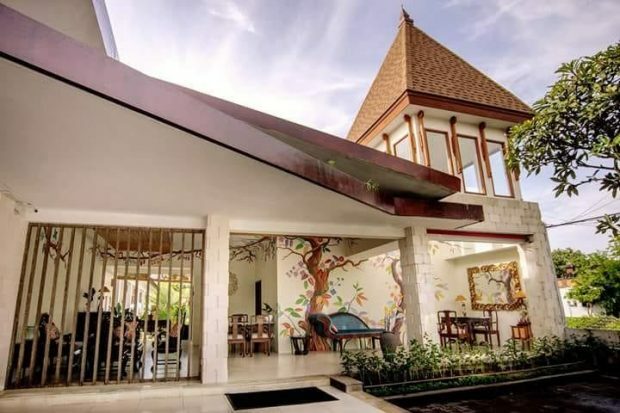 Rama Residence Padma Hotel offers a new experience and a total of 38 rooms with complete facilities – in particular a handy kitchenette, comfy lounge and a heaven-sent dining area. 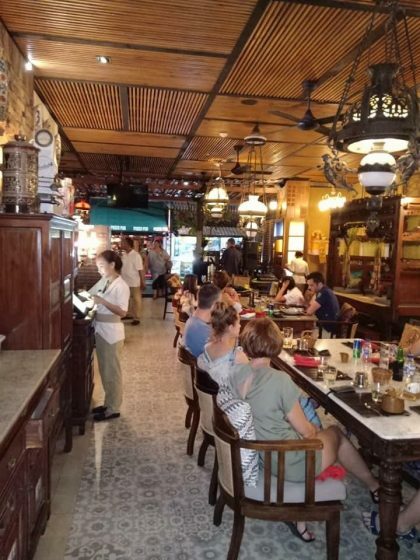 When travelling with a family, it’s not every night you’d want to eat out and this property is one whereby if you are seeking some solace from the busier surrounding areas and just simply eat in with the children. Other facilities for guests include a roof-top swimming pool, laundry and a fitness centre in case you need to keep up that fitness regime. The Asia Spices Restaurant is a partly open-air restaurant that serves various kinds of Asian Cuisine with the beautiful harmony of water which drops onto the fish pond and a nearby small green garden. 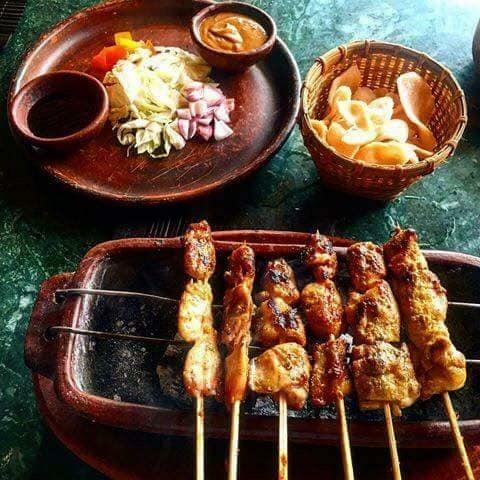 Here a typical Indonesian satay cannot be passed by without thinking how good its aroma captures your senses. 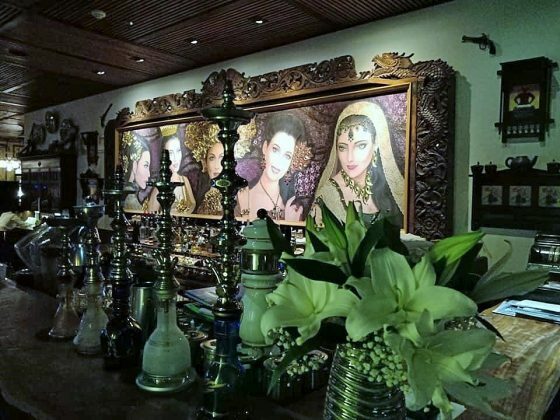 It’s a tourist friendly restaurant with the typical Balinese hospitality you’d expect from a four-star property. This delish Restaurant is the buzz place to be when in Padma especially if you’re after a fired up experience of spicy food like me. Having opened within the last couple of years, it’s fresh, still feels new and with its popularity is undoubtedly one to visit regardless of where else you might be staying. 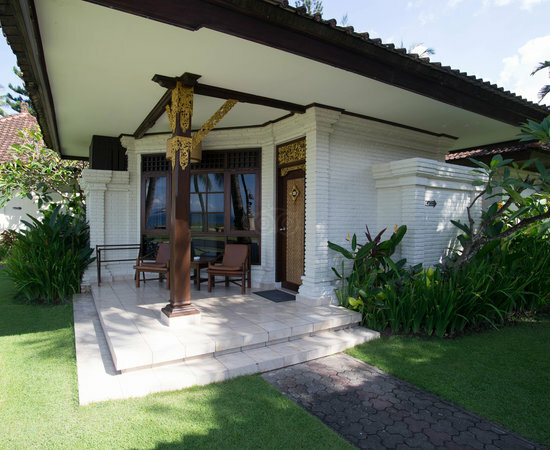 Next stop is Rama Residences at Petitenget; this is a great value property without the nearby upmarket Seminyak price tag. 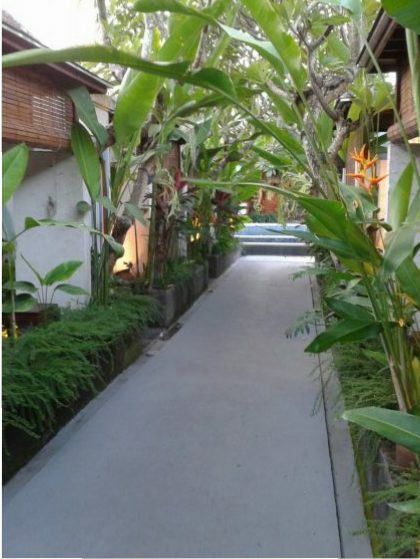 Although this part of the main-stream Balinese tourist precinct is lesser known than its counterparts of Legian/Padma and Kuta, it’s well priced and a quieter property. You’ll realise this once you’ve checked in and been escorted to your room. My tick of approval is the ability to turn off the air conditioner. 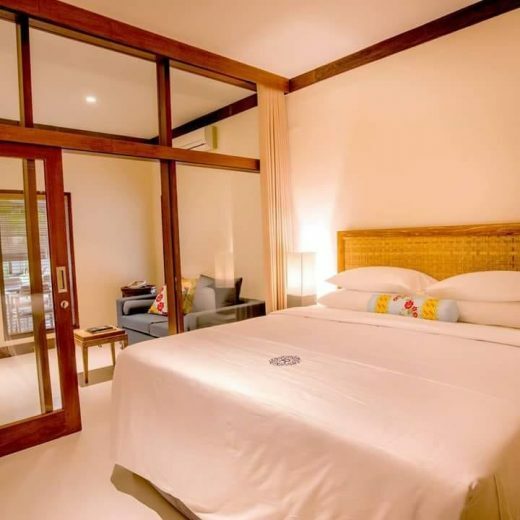 These are cooler rooms without the need for it I found, especially if you prefer to go “a la natural” and, if like me you’ll flick it off and enjoy the reasons you’ve come over to Bali in Australia’s winter … to feel warm. 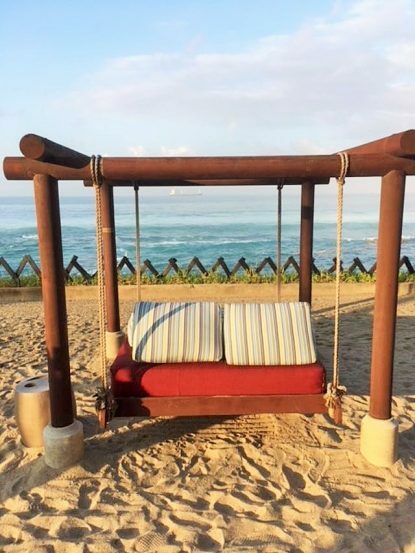 Pathway to the rooms show a more private and boutique property whereby there’s space at the front of each individual compartment to lounge around outside on spacious mattresses and deep-seated chairs – allowing you to relax after a hectic day. 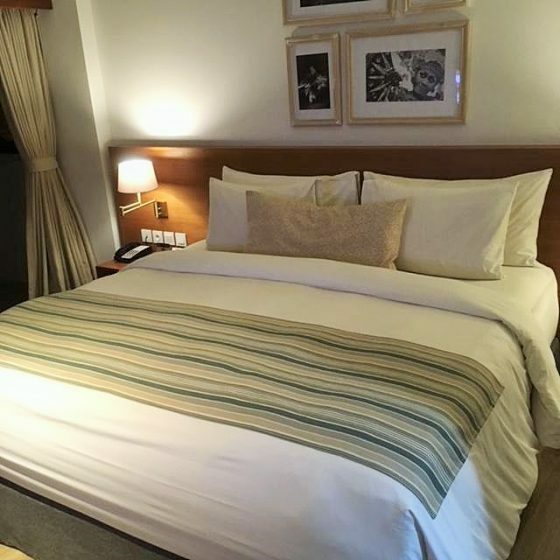 The rooms here are spacious and comfortable with enough room for a whole family to fit into one bed! And, the bed is oh so soft … considering this is part of Asia whereby they’re known more so for firmer bedding; you’ve won me over here with your cushiness! 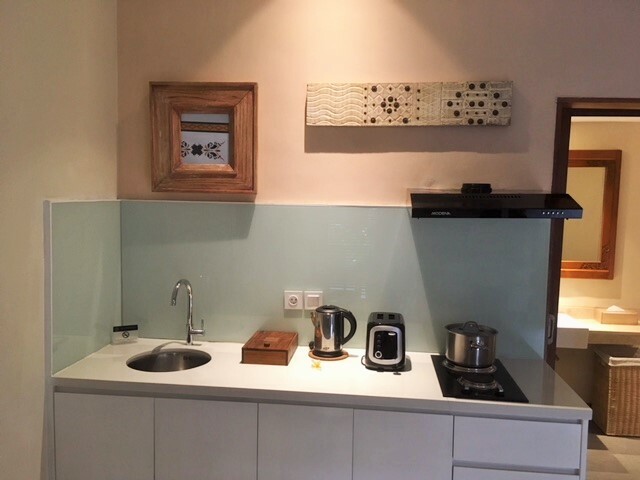 Again, this room type (being a one-bedroom suite) has kitchenette facilities which really is one of my favourite conveniences when travelling. The benefits of maybe paying a bit extra allows you to feel at home and yet be away from home; which in turn also help families with little ones feel they have an almost normal routine. 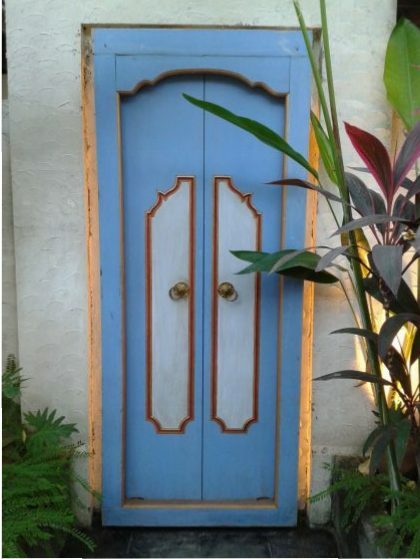 Oh yeah, I told you before I love taking photos of doors? No shortage here. Next up is Candidasa which is north-east of Denpasar’s airport and about a 1.5 to 2 hour journey depending of the traffic. Cost by taxi can be around A$20.00 one way. 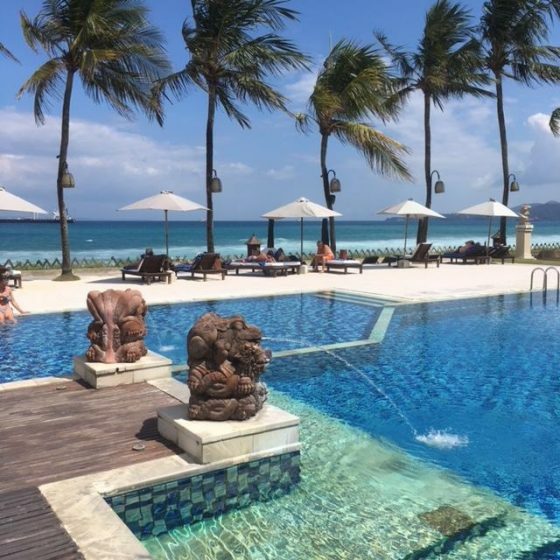 Whether you want shopping, sightseeing, nature activities; such as rice-paddy trekking, cycling, diving, snorkelling and yoga, or just relaxing and daydreaming, they have it all here. Is it worth the drive up? Sure is – the views are stunningly beautiful along the way. 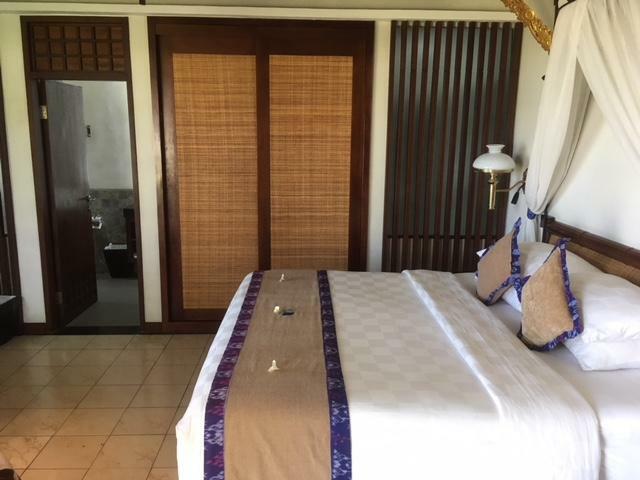 It’s much quieter within this region of Bali and the Rama Candidasa Resort and Spa offer a property which has a few variations of accommodation styles which would suit most budgets for the discerning traveller. Afternoon tea is served by the poolside Monday to Friday for in-house guests and is a welcome treat after splashing around for a while. On the foreshore is the freestanding Deluxe Cottage Ocean View style accommodation and trust me, you will not be any closer to the sea than this! Comfy chairs and an outside table to relax by in the evening with your mates having a few bevvies is the way to go. Simply watch the sunset while vessels slowly cruise on by and that’s how you should be feeling too with a stay here. GARPU is a lavish yet modest restaurant attached to the Resort and the staff here make you feel like you’re a rock star. And their smiles are a hearty indication of the service you’ll be receiving whilst dining there – either buffet breakfast, lunch or dinner facilities are available. 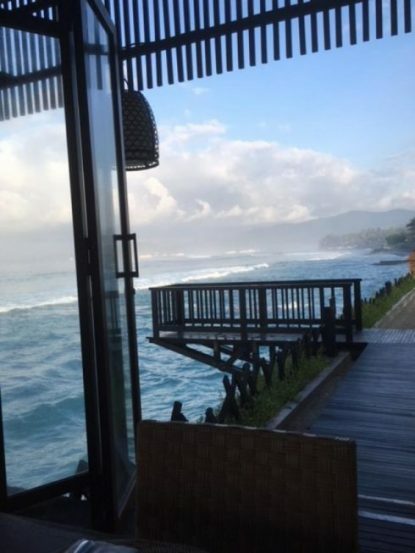 View from the restaurant in the evening, it’s definitely one place for having a peaceful and relaxing experience in Bali as well as being able to explore the magnificent underwater paradises such as Tulamben, Amed, Padang Bai and Blue Lagoon which are accessible. Well I suppose it’s time to take a walk and find a money changer … The township is not far away and most nights a market can be located along the way in the evenings. 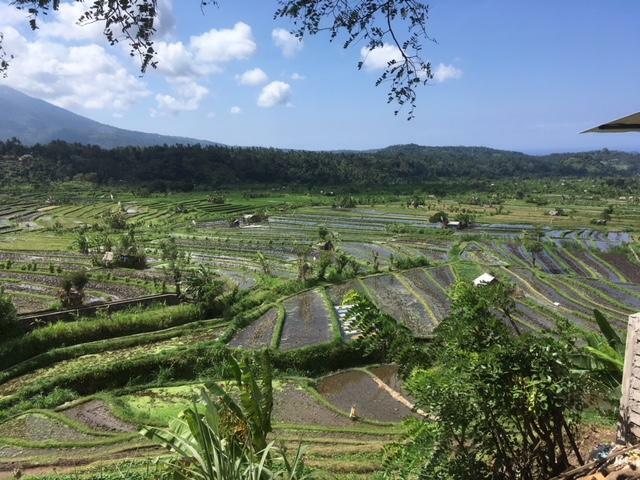 The natural serenity here being set amongst mountains, rice fields and the ocean offers ultimate peace and tranquillity which can be realised once away from the hustle and bustle of the more touristy areas of Bali. 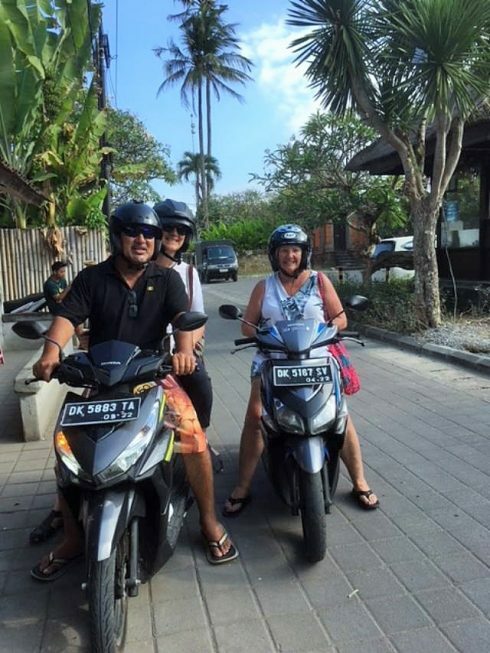 Well one of the best ways to make your way around Bali is with your bestie and childhood neighbour Kerrie and her special man Ian by hiring scooters. 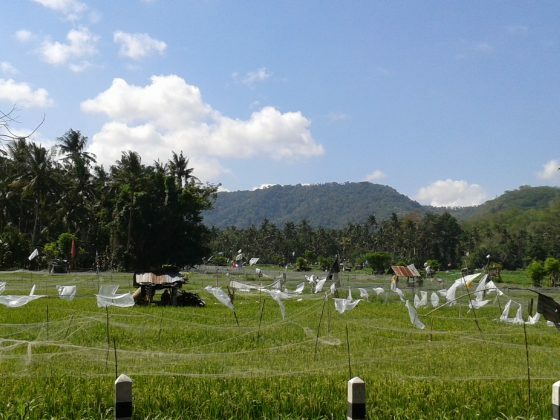 Candidasa is far more civilised than Kuta and surrounds and you’ll find some interesting places along the way when hooning around here – much quieter too. *However, check your insurance policy before taking one and ensure you’re covered for the type/size of bike you’re taking out. 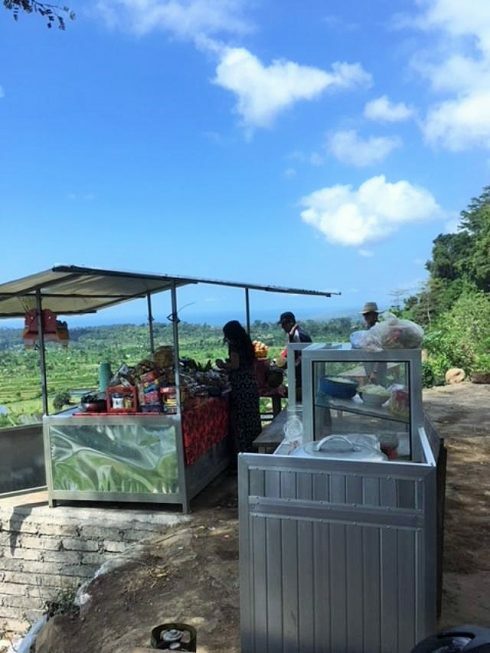 You might even find a street seller offering a hot Balinese coffee along the scenic escapement for a quick stop whilst en route to Ahmed. Maginificent views whilst enjoying our cuppa and figured out that we we’ve not seen each other for over ten years. But then again, some people choose to live in Western Australia! I guess a trip to Bali on occasion is the way to catch up huh? 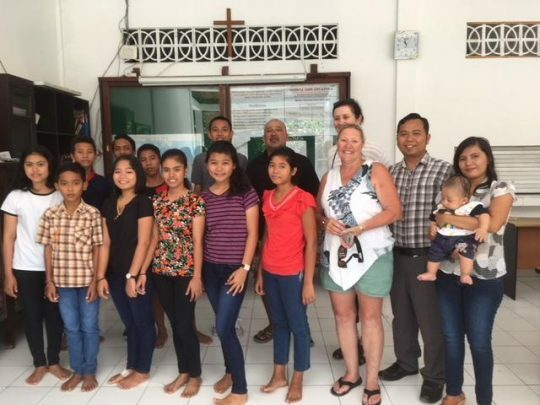 Another one of our stops included that of an orphanage whereby we were greeted by some of the loveliest youngsters we had the pleasure of meeting. We were impressed by their manners and engagement with us as foreigners. If you have the opportunity to bring some educational items or clothes then I highly recommend you visit a similar organisation or school and help out if you can. 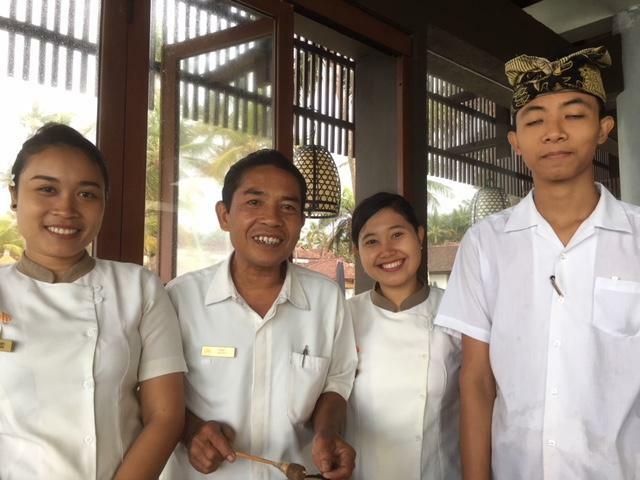 Well like most good things they must come to an end and it’ll be another year before we head back to Bali and enjoy the hospitality and smiley faces of the Balinese people.